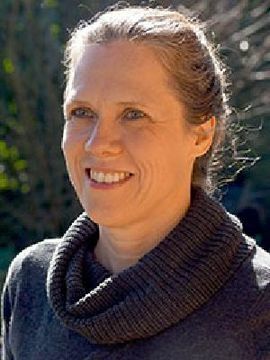 Carola Hein is Professor and Head, Chair History of Architecture and Urban Planning at Delft University of Technology. She has published widely in the field of architectural, urban and planning history and has tied historical analysis to contemporary development. Among other major grants, she received a Guggenheim Fellowship to pursue research on The Global Architecture of Oil and an Alexander von Humboldt fellowship to investigate large-scale urban transformation in Hamburg in international context between 1842 and 2008. Her current research interests include the transmission of architectural and urban ideas, focusing specifically on port cities and the global architecture of oil. She has curated Oildam: Rotterdam in the oil era 1862-2016 at Museum Rotterdam. She serves as IPHS Editor for Planning Perspectives and as Asia book review editor for Journal of Urban History. 2014 Grant by the KNAW for a conference on “Theories, Methodologies and Historical Case Studies of Global Urban Planning"
1. Hein, Carola (ed.) (2017/forthcoming) Planning History Handbook, New York, Routledge. 4. Hein, Carola (ed.) (2011): Port Cities: Dynamic Landscapes and Global Networks London: Routledge. 6. Hein, Carola, and Philippe Pelletier (eds.) (2006/2009): Cities, Autonomy and Decentralization in Japan. London: Routledge. 199pp. 7. Hein, Carola (ed.) (2006): Bruxelles l’Européene: Capitale de qui? Ville de qui?/ European Brussels. Whose capital? Whose city? Brussels: Cahiers de la Cambre-Architecture n 5, Brussels: La Lettre Volée, 2006. 313pp. 8. Hein, Carola (2004): The Capital of Europe. Architecture and Urban Planning for the European Union. Westport (CT): Greenwood/Praeger. 316pp. 9. Hein, Carola, Jeffry Diefendorf, and Yorifusa Ishida (eds.) (2003): Rebuilding Urban Japan after 1945. London: Palgrave Macmillan. 274pp. 10. Hein, Carola (main editor and author) (1991) Hauptstadt Berlin, internationaler städtebaulicher Ideenwettbewerb 1957/58. Berlin: Gebr. Mann. 300pp. 1/2013 Co-organized a conference on Global Gateways, Local Dead-Ends? The Transformation of Port Cities between Blockade and Mobilization with colleagues from the HafenCity University Hamburg. 2012 Organized a conference on Japanese Cities in Global Context with colleagues from the Trico and support from a Mellon Tri-Co Seed Grant, Lee Frank Lecture Fund at Swarthmore, East Asian Studies Department at Haverford, Center for Visual Culture, Japanese Section of Modern Languages and Literatures at Swarthmore, Growth and Structure of Cities Program, Provost’s office and the Deans Office. 2011 Organized a conference on Port Cities: The Interdependencies of Global Shipping Networks and Urban Transformation of Port Cities at the Hamburg Museum with support from the HafenCity University Hamburg, the Alexander von Humboldt Foundation and the Bund Deutscher Architekten Hamburg. 3. (2016) Guest Editor Special Section: “Japanese Cities in Global Context” Journal of Urban History, 42:3. 4. (2016) “Introduction” Journal of Urban History, 42:3, 1-14. 8. (2015) "Editorial – Thirty Years On." Planning Perspectives, no. 30 (1):1-10. 9. Abbot, Sophia, Alison Cook-Sather, and Carola Hein (2014) "Mapping Classroom Interactions: A Spatial Approach to Analyzing Patterns of Student Participation." Issue to Improve the Academy no. 33 (2): 131–152. 10. (2014) “Port cities and urban wealth: between global networks and local transformations” Int. J. of Global Environmental Issues, Vol. 13, Nos. 2/3/4, 339-361. 11. (2014) The exchange of planning ideas from Europe to the USA after the Second World War: introductory thoughts and a call for further research. Planning Perspectives: Special Issue on Transnational Urbanism (edited by Carola Hein). 12. (2010) “Shaping Tokyo: Land Development and Planning Practice in the Early Modern Japanese Metropolis” Journal of Urban History vol 36 no 4: 447-484. 13. (2009) "Global Landscapes of Oil," New Geographies 02: Landscapes of Energy, edited by Rania Ghosn, p. 33-42. 14. (2008) “Machi: Neighborhood and Small Town. The Foundation for Urban Transformation in Japan,” Journal of Urban History, Special Issue on “Decentering Urban History: Peripheral Cities in the Modern World” vol 34 no 6: 995-1012. 15. (2006): “European Spatial Development, the Polycentric EU Capital, and Eastern Enlargement.” Comparative European Politics 4, no 2: 253-271.